Consumers are particularly wary of sugar content in products and The Amazon Secret®is making a difference. Beverages are called “the dominant application segment” for the no- and low-calorie sweeteners. Our products have a natural sweetener (JustSweet) to achieve the perfect sweetness profile while reducing sugar. After investing close to 1 Million USD on innovation where the goal was doing something no other have done before us, to create a 100% natural sweetener tasting like sugar. With great taste, low-calorie, and being prebiotic, the sweetener developed was perfect for the Amazon Secret®. Clean labels are more important than ever. The drive for clean and simple continues to expand, with nearly three-quarters of U.S. consumers finding it important to recognize the ingredients used in the products they buy. 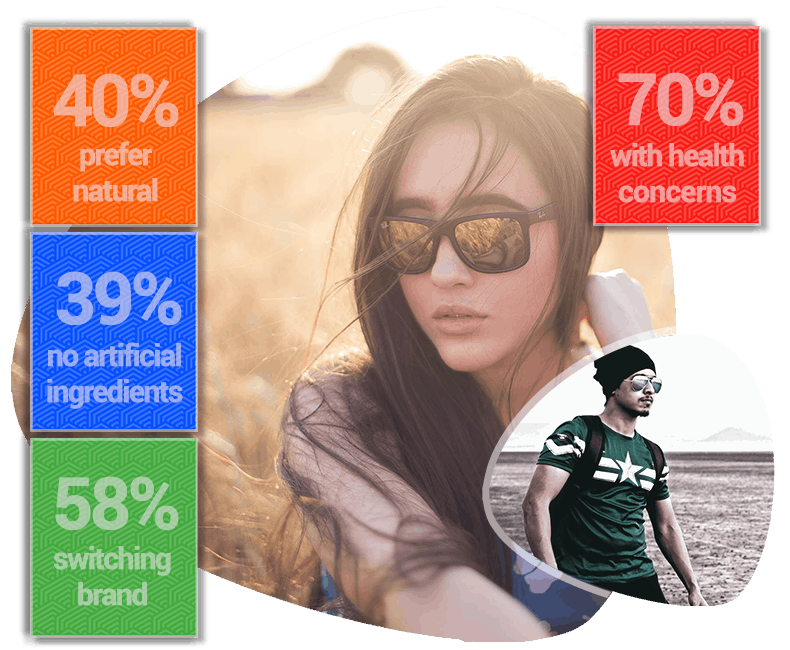 40% of consumers* ranked «NATURAL/ ALL NATURAL» as #1 in terms of appeal on the front of food and beverage packaging. 40% of consumers* ranked «NO ARTIFICIAL INGREDIENTS» as #2 in terms of appeal on the front of food and beverage packaging. 70% of Americans are concerned about how sugar impacts their overall health. *Survey among consumers in the USA. Of the global population, including adults and children, 30 %exceed a healthy weight. On average, U.S. youth consume 143 calories from sugar-sweetened beverages on a given day. 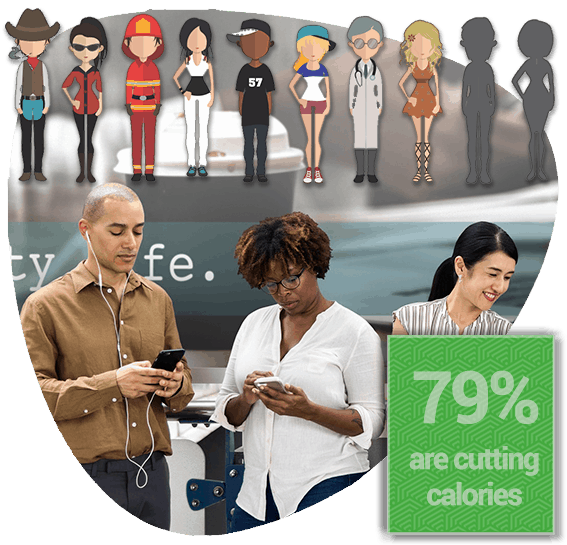 60% of consumers want lower-calorie alternatives to reduce sugar. 61% of consumers say they wish there were more "natural" substitutes. Many trends and diets in natural health, come and go, but thanks to science, we know that good bacteria (bifidobacterium) is of critical importance when it comes to the human gut. The use of prebiotics as food supplements meets the dietary requirements without making any trivial changes to the food preference. The sweetener developed for the Amazon Secret is not only natural, it's also prebiotic. Although prebiotics comprise a varied group of biomolecules with diverse mechanisms of action, they all improve human health by enhancing the beneficial bacteria in the gut*. In order to grow and multiply your beneficial bacteria need to consume a steady diet of prebiotics. If you drink a glass (250 ml) with Amazon Secret, daily, the amount of good bacteria, will within 4 weeks, increase to 6 times what you had.